As President of Global Development at the Gates Foundation and chair of the Global Polio Eradication Initiative’s Polio Oversight Board, I spend a lot more than 24 hours a year thinking about polio. In fact, polio eradication is one of my – and the foundation’s – top priorities. I recently traveled to Dubai to meet with partners equally dedicated to wiping out polio. The meeting, which brought together the regional directors of WHO and UNICEF as well as government representatives from Afghanistan and Pakistan, gave us the chance to review plans to put an end to polio once and for all. The last mile of eradication has been tough. And it has taken longer than any of us expected. But every year, we get closer to our goal. In 2016, there were a record-low 37 cases of wild poliovirus. In the first 10 months and three weeks of this year, we’ve seen just 12 cases in Pakistan and Afghanistan. This is a far cry from what the world looked like 30 years ago when polio paralyzed about a thousand children globally every day. While there has been just a handful of cases in 2017, that shouldn’t distract us from the impact we’ve achieved. Among my favorite global health statistics is this: 16 million children are walking today who would otherwise be paralyzed by polio. 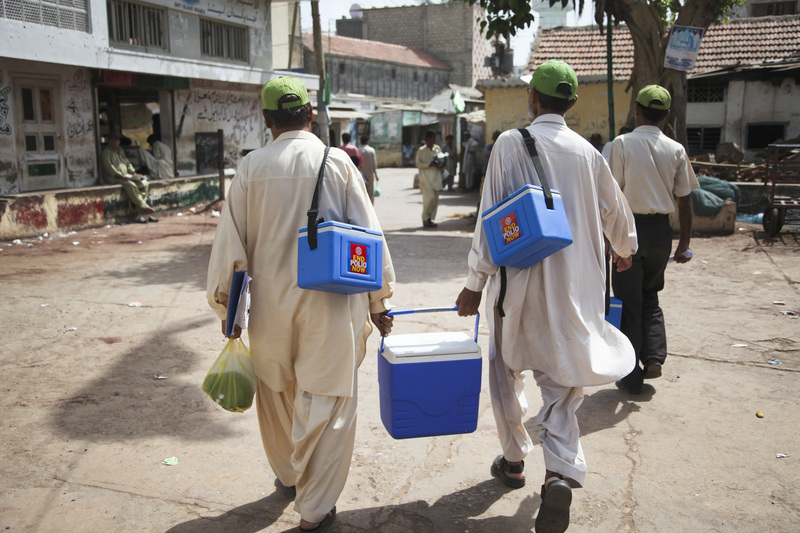 Global progress against polio demonstrates the amazing level of partnership and perseverance that the global health community and governments can muster when we have a clear opportunity to improve health and well-being for millions of people. The world has made remarkable progress, but success is not guaranteed. We need all the help—and all the partners—we can get to spread the word and protect our progress. Crossing the finish line demands that we maintain an extraordinary level of collaboration to sustain momentum and address the final challenges to achieving a polio-free world. By doing so, we will, at long last, realize a world without polio. And we can draw upon the skills and innovations used to eradicate polio to tackle other global health challenges. We can also use future World Polio Days to remind us of what’s possible when people come together to take on complex, decades-old challenges: Anything.